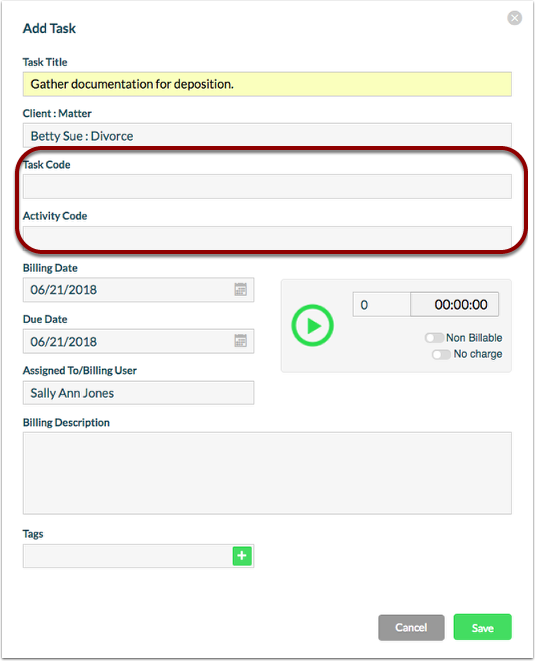 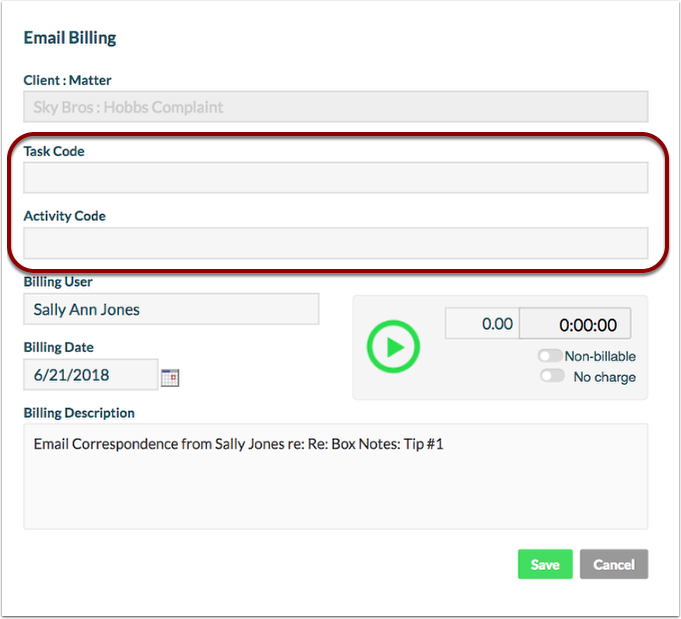 Rocket Matter Knowledge Base Insurance Defense Package - LEDES Billing- NEW!How to bill for an activity, task or expense code using LEDES billing. 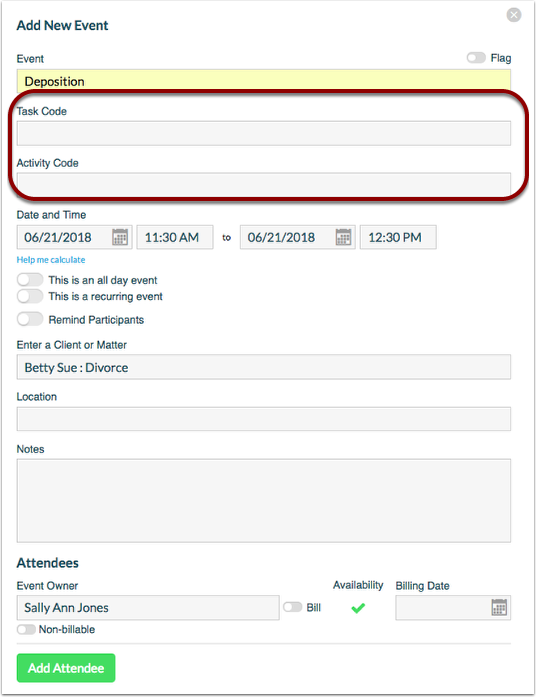 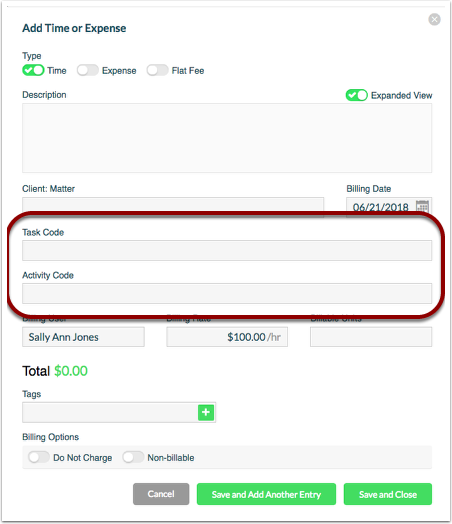 Task and Activity Codes: Enter appropriate codes in each desired section. 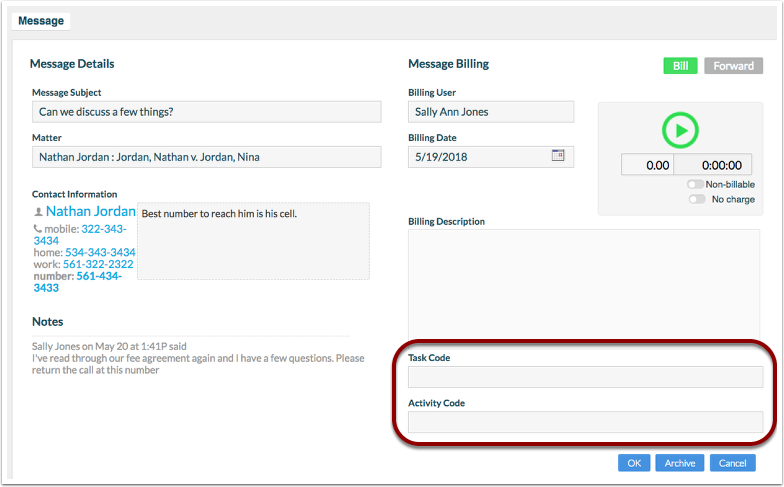 Look for these code fields in our Office 365 Integration (Outlook, Documents and Powerpoint) and Gmail. 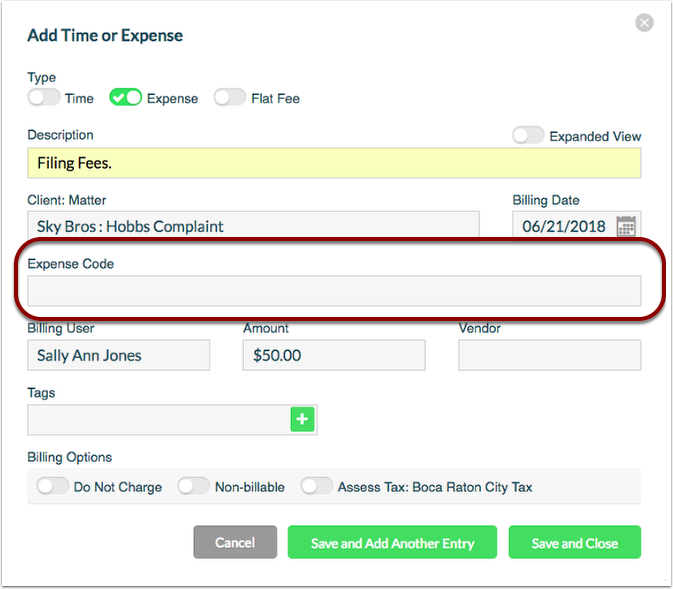 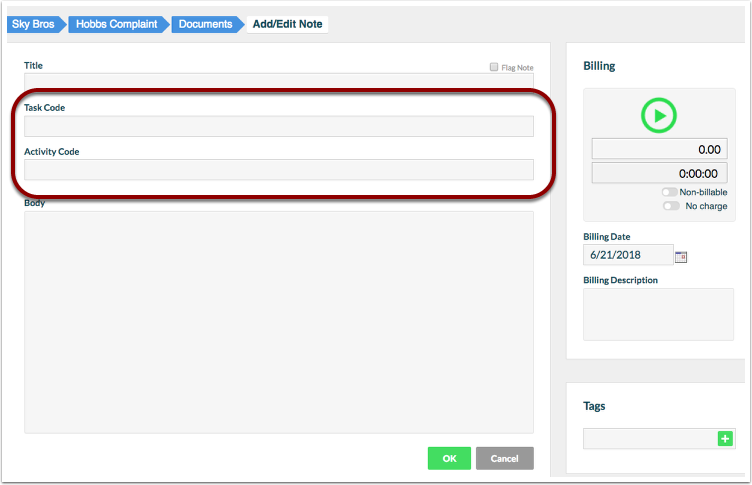 Prev: How to run a collections report showing payments and adjustments towards invoices for LEDES billing. 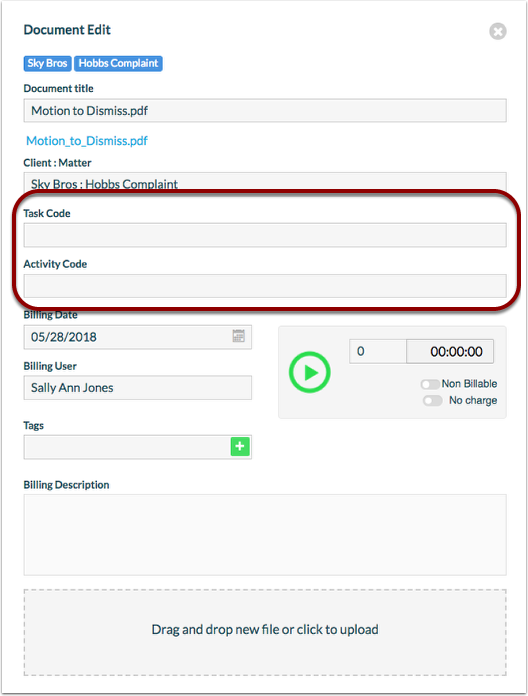 Next: How to get started with the LawToolBox integration.